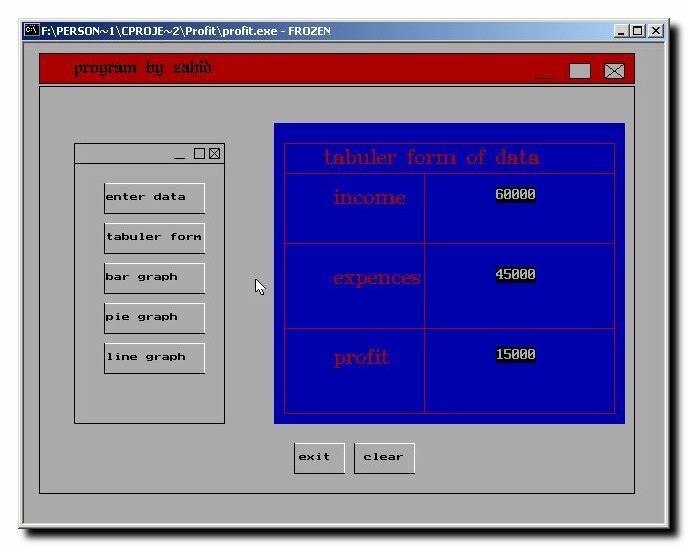 This is a small utility to calculate the net income by checking a person’s salary and monthly expenses, on the basis of this information it calculates the loss/profit. It has a nice graphical User Interface with differents formats to show the information i.e. Pie Chart: Shows the information in Pie chart with different colors for salary, expenses and net income. Tabular: Show all the information in tabular form. Bar Graph: Shows the information in Bar Graph with different colors for salary, expenses and net income.